All cases are archived on our website. To view them sorted by number (with or without diagnosis) or by category, visit our Home Page and click on the Case of the Week button on the left hand side. Thanks to Dr. Elaine Alt, Quest Diagnostics, New Jersey (USA) for contributing this case. To contribute a Case of the Week, follow the guidelines on our Case of the Week page. The Genomic Health OncotypeDX� Breast Cancer Assay provides early-stage ER-positive breast cancer patients with an individualized Recurrence Score� result that assesses the benefit of chemotherapy and the likelihood of 10-year distant recurrence. (1) We are currently updating topics in the Bladder, Cervix-Cytology and Coagulation chapters, and hope to have them completed soon. (2) We have lowered the cost for Laboratory (non Pathologist/nonPhD) job postings to $250 if posted at the same time as a Pathologist / PhD job. Otherwise, the cost is unchanged at $500. These jobs are posted until the position is filled, up to 6 months. 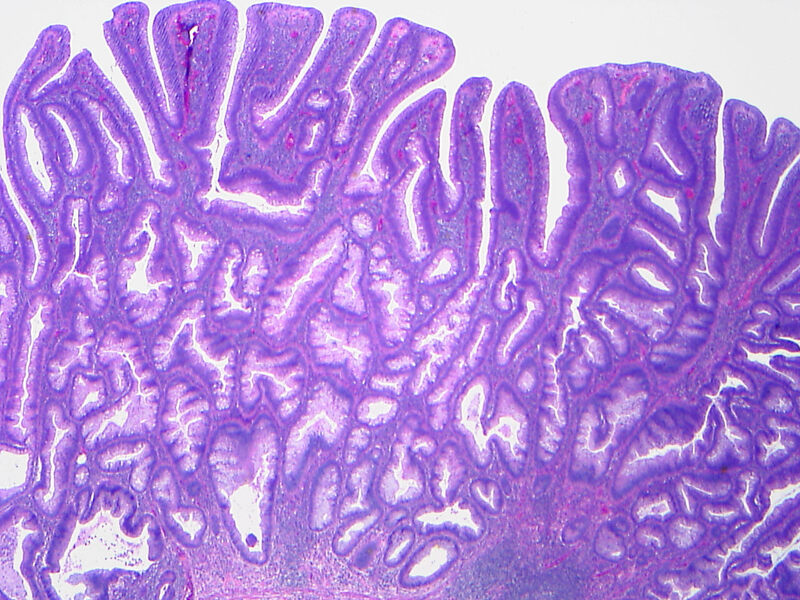 A 58 year old man had a large, rectosigmoid colonic polyp excised. The small islands of cells were immunoreactive for synaptophysin. 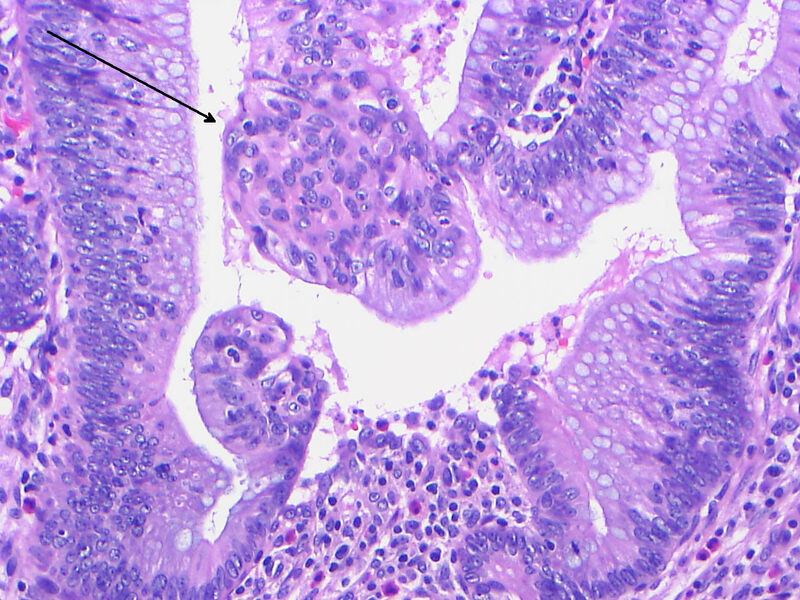 Microcarcinoids within adenomatous polyps of the colon have only recently been described (Am J Surg Pathol 2006;30:1531). They range up to 1.5 mm in size, and are located between the crypts and the muscularis mucosae. 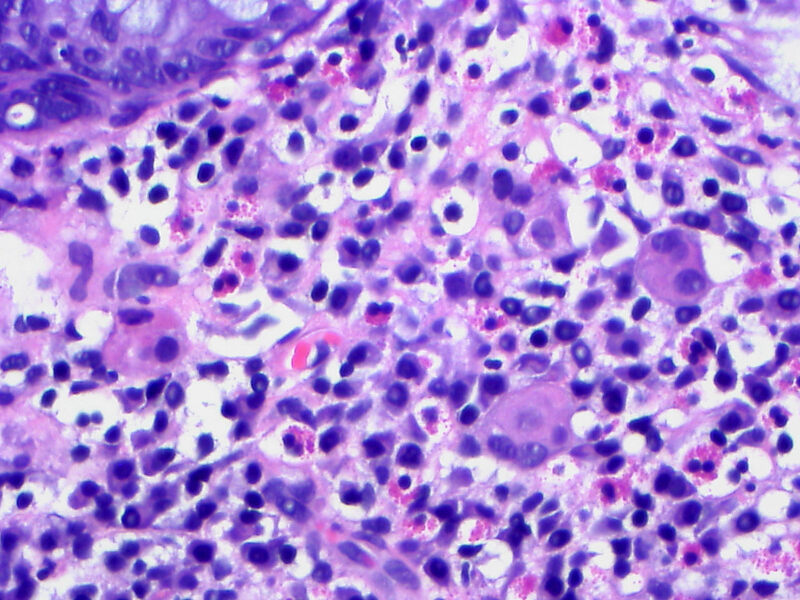 They are composed of nests, cords, tubules and clusters of large epithelial cells with abundant cytoplasm, usually eosinophilic and granular, and round central nuclei with stippled or dusty chromatin. There is no desmoplasia, no atypia and no mitotic activity. 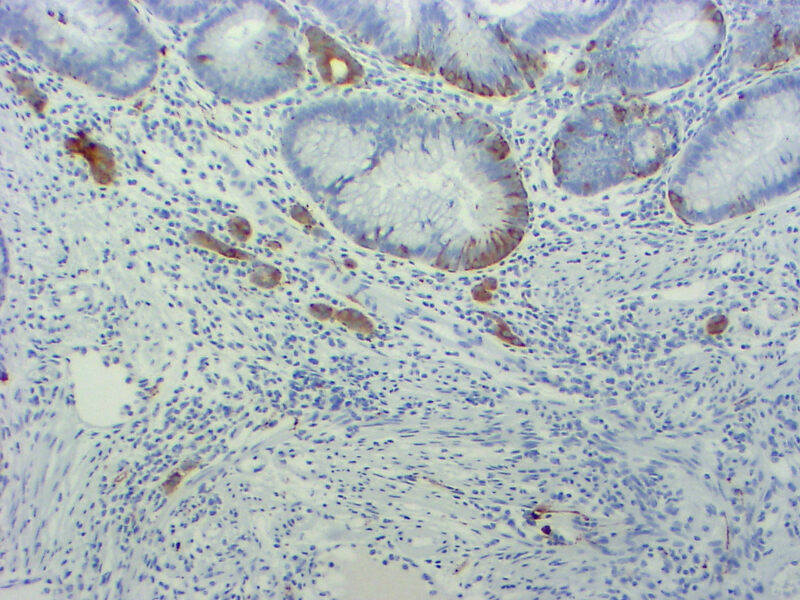 Tumor cells are immunoreactive for chromogranin, synaptophysin, neuron-specific enolase or other neuroendocrine markers. 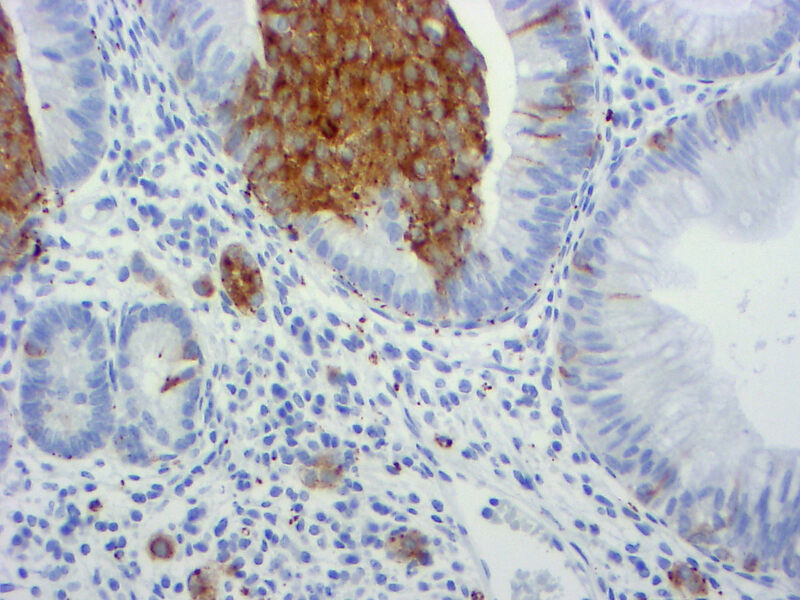 Microcarcinoids have previously been described in ulcerative colitis (J Clin Pathol 2003;56:963) and other chronic inflammatory disorders, where they may be due to reactive hyperplasia of colonic endocrine cells. 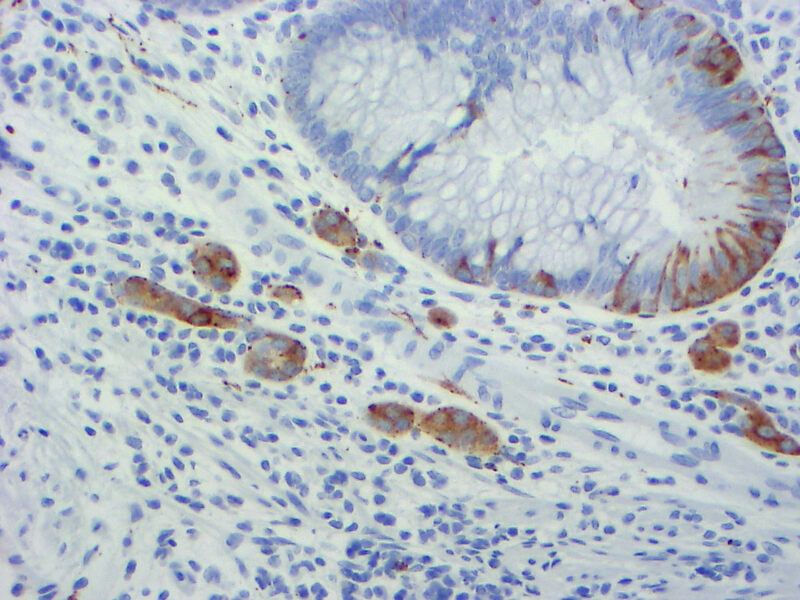 The differential diagnosis includes mixed adenoma-carcinoids. 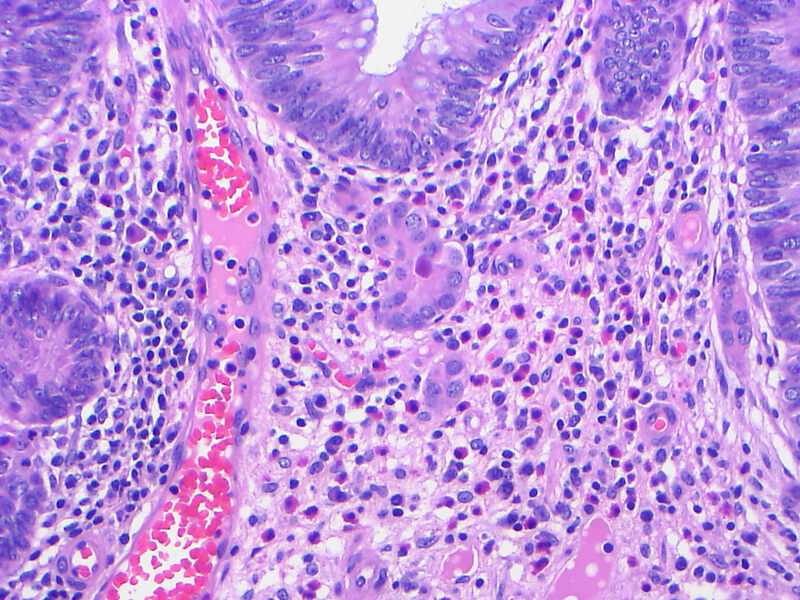 In these tumors, the carcinoid component is substantial, in contrast to the incidental microcarcinoid tumor in this case that did not alter the polyp architecture. 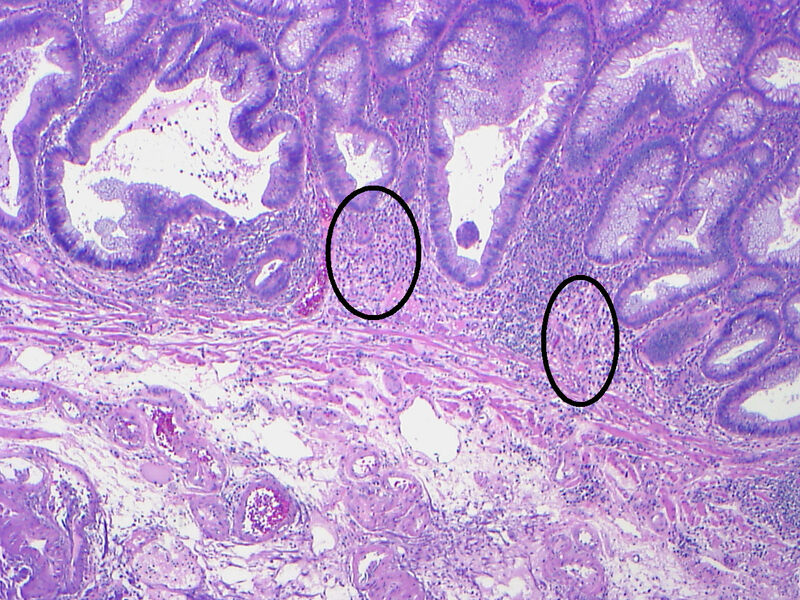 Microcarcinoids may be interpreted as incipient adenocarcinoma, particularly if the polyp exhibits high grade dysplasia. 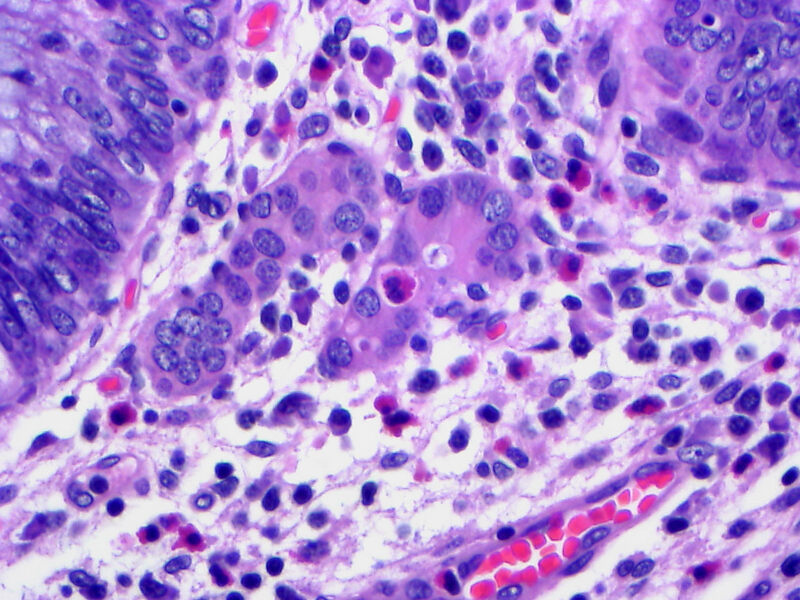 Finally, due to their incidental nature, the microcarcinoids may not be identified. 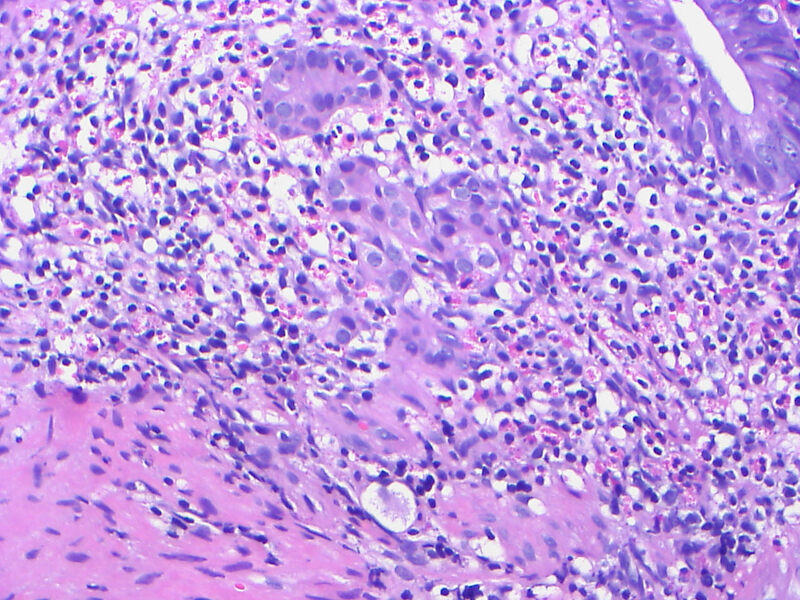 These microcarcinoids appear to have benign behavior, with no recurrences identified to date.